I tried HAN install. The result is, HAN installation was successful but, on stage of ACT/IPDS dumping, the initialization fails. I retried multiple times but it didn't work at all. I've taken a picture from the screen so you can see what is exactly going on here. But somehow, an option is added after HAN installation inside game section named " Package Manager". It has a star on the beginning of its name. I send a picture of its contents too. So maybe you would know anything can be done through this option. 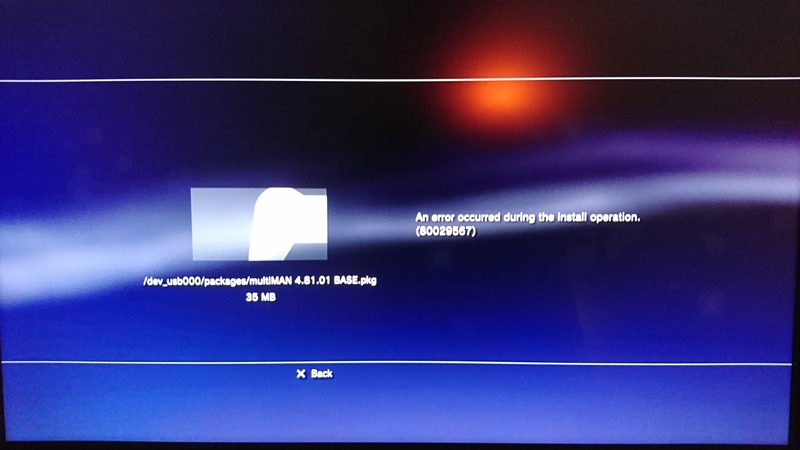 And this error occurs when I try to install a package like multiMAN or Rebug tool using that recent option. Homebrew is not possible with HAN, so you cannot install programs like multiman. Now then I've tried almost every possible solution(!) to jailbreak my system, there is only one left way and it's NOR ver. 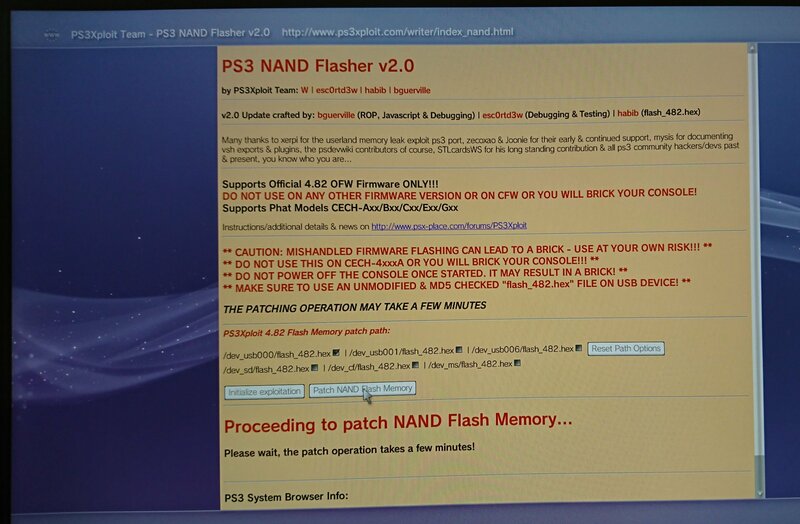 of Ps3xploit. Despite I have a Japanese CECHA00 system and it is said to be NAND in psx-place.com website, I'm going to try to dump using NOR dumper and see what happens next. And of course, will bring it here! You could just start over. Install ofw again then flash the hex then try installing cfw. esc0rtd3w and AmirRezaTaherSoltani like this. If you are doing HAN, you need to install OFW 4.82 twice before you even start. I did it again and it did not work. Even I tried to dump NAND through HDD but failed at initialization stage. I'm sad to see my console that is one of the very first models produced can't be jailbreaked! My system is on OFW 4.82 (latest version) which is higher than 3.55. What about this? AmirRezaTaherSoltani and esc0rtd3w like this. You are NOT 3.55 or below so the other two statements don't apply. Use the methods listed above me by littlebaleup. You say you are on OFW 4.82...did you install it TWICE????? if not, you are missing information you are reading. That being said, you can install OFW 4.82 a third time if you areh't sure if you've done it twice. 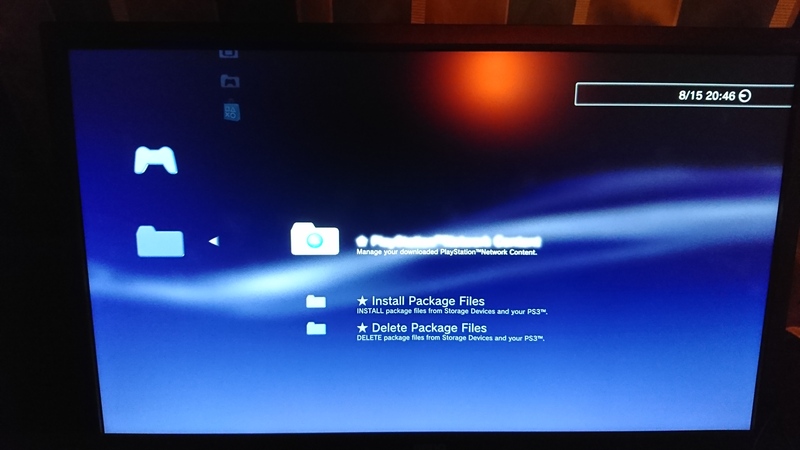 Then use the ps3xploit method listed above. I performed the instruction exactly as it's stated above such as installing OFW twice. Now at the stage of NAND flashing, initialization succeeds but in patching the console is freezed for about 15 minutes at the moment, the virtual mouse doesn't move and the controller won't work (picture below). What should I do now? Guys, a BIG SPECIAL THANK for everybody who helped me through this progress, but I'm really upset to state that I totally gave up hacking my system through these methods & started to buy original discs in order to play games on my PS3. The reason is, as you can tell, it takes so many attempts & time to finally succeed in this process & based on the official websites disclaimer, it may cause serious damages to the system so they do not take any responsibilities. After nearly a year of hard try, I'd rather enjoying my system with lovely games .